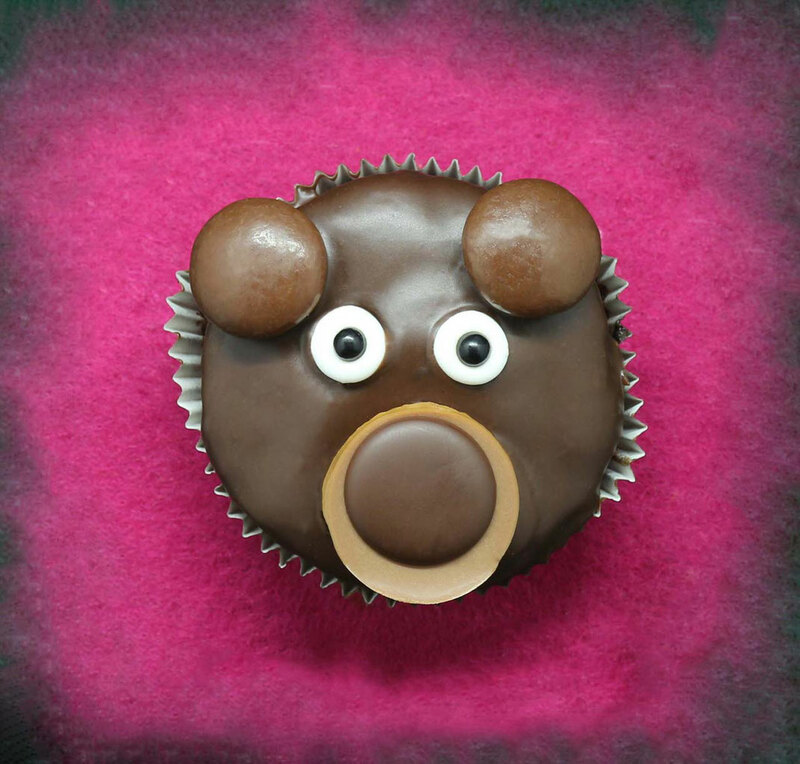 Today we are going to bake this cute bear cupcakes. You can use my basic recipe for cupcakes and add some cocoa powder or just bake any chocolate cupcakes. 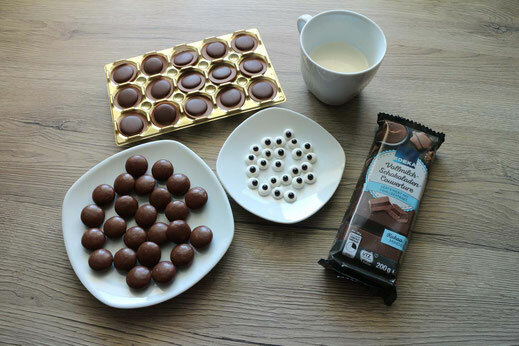 Prepare a ganache 3:1 with chocolate and whipping cream and dip the cupcakes as long as the ganache is warm. Add the chocolate drops as ears, sugar eyes and a Toffifee for the nose, let cool down and finishes are this super cute bears. If you want to bake more cute animal cupcakes have a look at the beavers.